Last week Lacey started her day by vomiting on the carpet. I don’t want to sound callous or unfeeling but life with Lacey sometimes comes with spontaneous barfing. I wasn’t surprised to find grass in the clean up. Lacey sometimes eats grass as a stress reaction. Our Homeowner’s Association has been repairing sidewalks and damaged roads for the last week or so and her anxiety has been off and on Orange Alert Level Defcon 5. Following our vet’s advice, we wait a bit to let Lacey’s tummy settle before giving her a small portion of her breakfast. We wait again to see if Lacey keeps it down Then we give her the rest of her breakfast in smaller portions until she’s finished her half cup of morning kibble. When Lacey wasn’t keeping down her breakfast she had dry heaves. Veterinarians and behaviorists say the dogs sometimes use eating grass as a natural remedy to induce vomiting when they have an upset stomach. I should be congratulating Lacey on following her humans’ lead by trying holistic medicine first but you guys really have no idea how quickly I became an expert on cleaning dog puke off carpeting until Lacey joined our family. Husband took Lacey on a walk to help her burn off her nervous energy. Usually a nice long walk calms Lacey down but not that day. She paced. She wanted pets. Then she didn’t. Her stomach was empty but she drank a ton of water. She tried to snooze but didn’t. Rinse. Repeat. On their walk Husband noticed the flags the HOA lawn service leaves behind to notify us that they fertilized the lawn and to caution children and pets not to walk on it. Those signs drive me nuts because I have no say whether they treat my yard or not and with I don’t know what. That’s why we garden organically – for Lacey’s safety because being a parent means you’d put your kid (or dog) in the last seat of the lifeboat while you swim after it and hope for the best as long as your dog kid is safe. 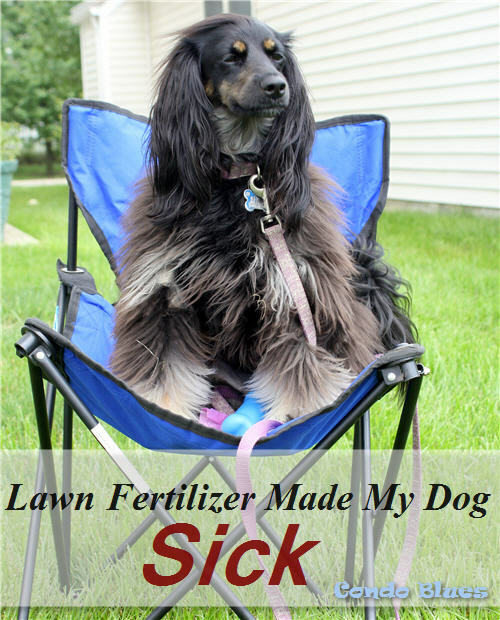 Is the lawn fertilizer making my dog sick?! Husband called the vet to check in if we were dealing with our normal dog puke situation or if we should be concerned because she was still acting funny. I tag teamed researching if fertilizer is harmful to pets and what ingredients are in the fertilizer used in my neighborhood. Thank goodness my career has given me mad research and people skills. 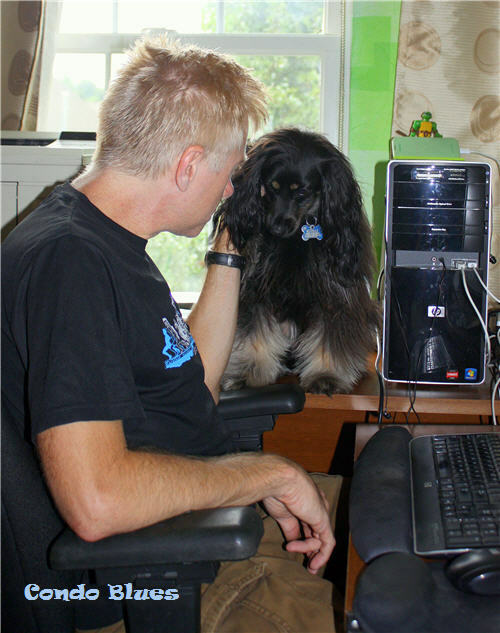 Our clever girl figured out a way to use Husband's lap as a highway and make a perch on his desk to look out the office window and bark at birds. My research found that natural fertilizers are actually more toxic and possibility deadly to pets than synthetic. For the first time in a long time this prissy green blogger was pulling for synthetic chemicals to be all over her lawn. The fertilizer company assured me Lacey would need to eat her body weight in their product to get seriously or gravely ill. I told them I appreciated that but Lacey’s tummy is a special snowflake when it comes to anxiety and medical issues. I also told them we didn’t know how much grass Lacey ate since they applied the fertilizer two days ago and it would help our vet rule out their synthetic fertilizer (whew) if her vet knew what is in it. 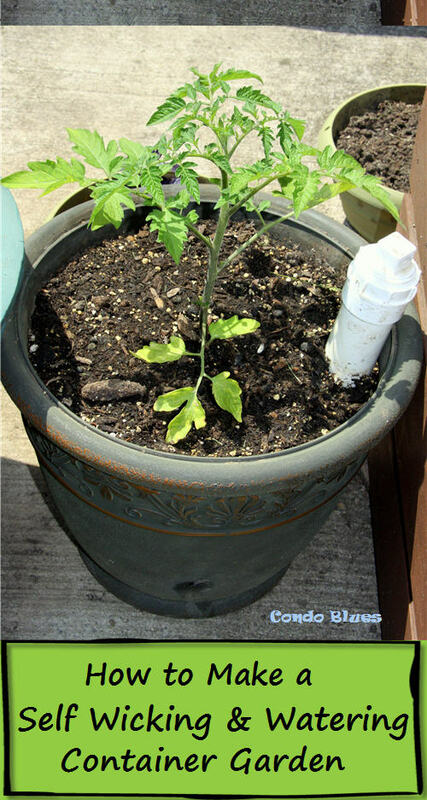 The fertilizer is 25% Nitrogen, 0% Phosphorous, 5% Potassium, and 50% Sulfur Coated. To be honest I have no idea what that means. What I do know is Lacey ate and kept down the bit of banana I gave her while I was making phone calls. That was a good sign. With notes in hand, off the vet we went! Lacey’s temperature and blood work were normal. Her tummy was very tender to the touch. We can’t say for 100% certain the fertilizer made her sick but the practice’s research found a similar case of a dog who experienced stomach upset after eating fertilizer with similar ingredients but at slightly different concentrations. That dog was treated for stomach upset with a couple of shots and a 24 diet change. Fortunately the same course of treatment had Lacey feeling well enough to be barking at the birds outside to get off her lawn at 80 – 90% efficiency later the same day. Life with Lacey is never boring. How to I keep Lacey from stress eating grass? What do I do about the service using fertilizer in our neighborhood? Any ideas?